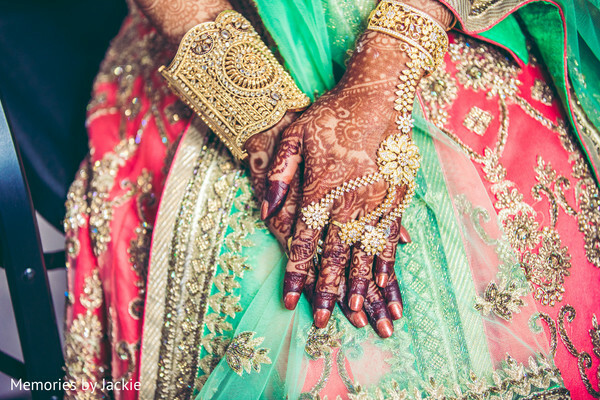 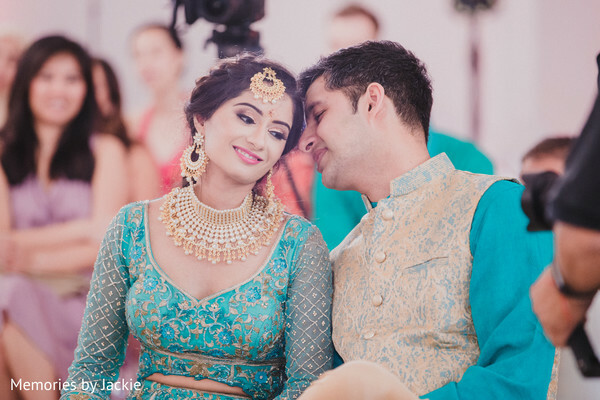 All the wonders, beauty and traditions of Tamil – Ismaili cultures, reigned in today’s dreamy wedding of Sarasijhaa and Salman! 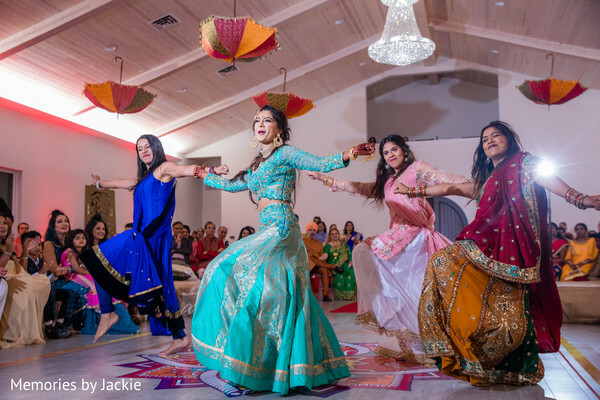 To ensure they cover all the mandatory pre-wedding events this duo brought on Eminent Planning to plan and décor their auspicious celebrations that kicked off with an exciting Pithi and Sangeet that took place at the Legacy Acres - Arkansas. 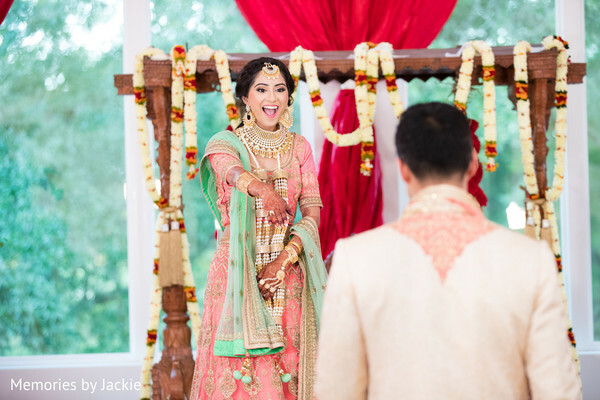 Between oodles of rich and colorful decors, the wedding photo expert team of Memories by Jackie captured the couple’s sangeet big dance moments and stylish traditional outfits! 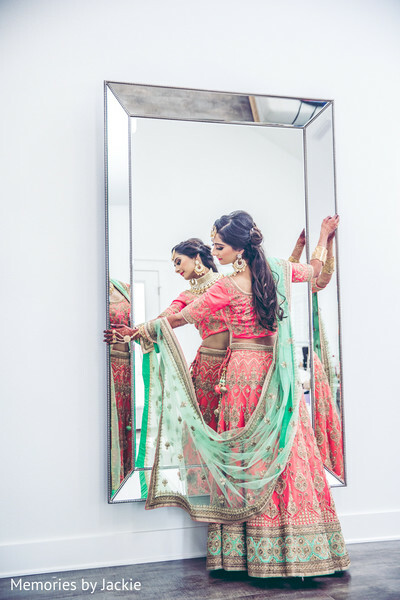 For an impeccable makeup look, Maharani Sarasijhaa recruited the makeup expert Francys Patricia Alanis and chose a sweet pink and mint lehenga accessorized by a glamorous jewelry set! 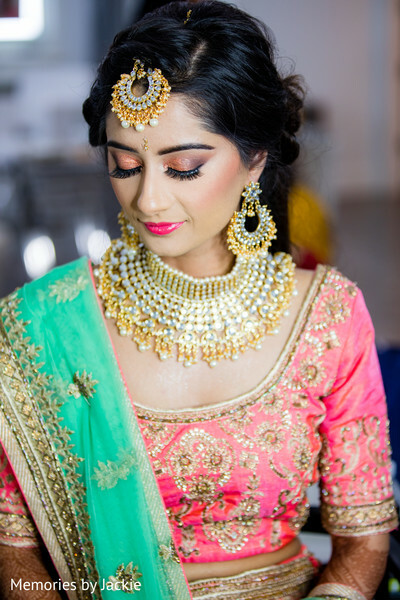 Such a jaw-dropping look! 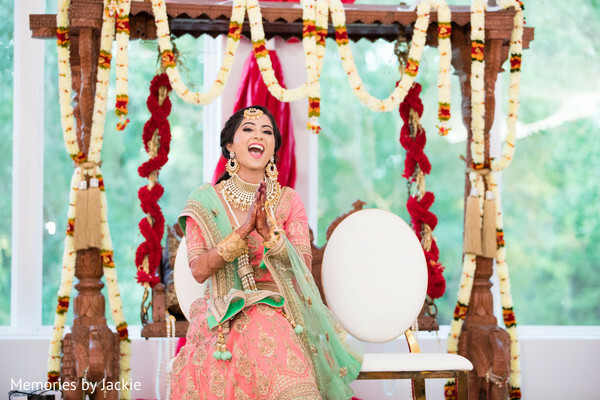 I simply love all the fun and frolic reflected in the stunning images of these wonderful pre-wedding functions. 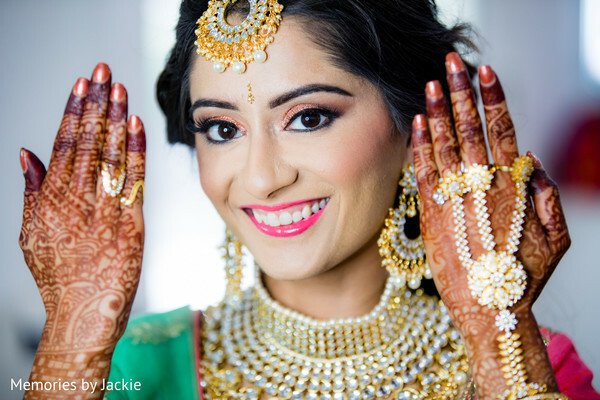 Get lost in our full gallery by Memories by Jackie! 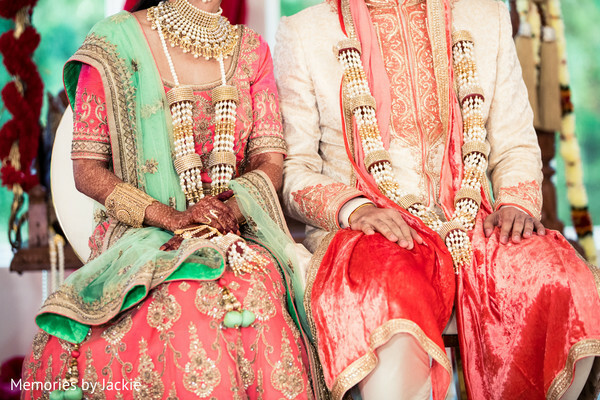 All the ceremony deets up next!